The problem with The Divergent Series (as it has been dubbed by its studio) is a question of quality. The first film didn't receive great reviews and a lot of that honestly had to do with the complicated world building that was necessary. This will not only cause trouble in initiating new viewers as the series goes on, but the books seem to get progressively worse as well. I made it quite briskly through the first book in the series, but it took me forever to get through Insurgent and I've yet to even crack open Allegiant which I honestly have no desire to read. That said, this more in-depth trailer for the second film looks visually promising if not all over the place with its narrative. It has been a couple of months since I finished the book on which this film is based and as I watched the trailer I couldn't remember any of the context for what I was seeing. Taking over for Neil Burger from the first film is director Robert Schwentke who could really send this series in either direction. He has produced fun, action filled adventures before with the likes of RED and even the subliminally enjoyable Flightplan while also being at the helm of junk such as The Time Traveler's Wife and R.I.P.D. I'll of course give this second film a shot as I'm eager to see if Schwentke's visual stylings make for a more interesting film than read, but don't know how to gauge my expectations which inherently causes a fair amount of hesitation. 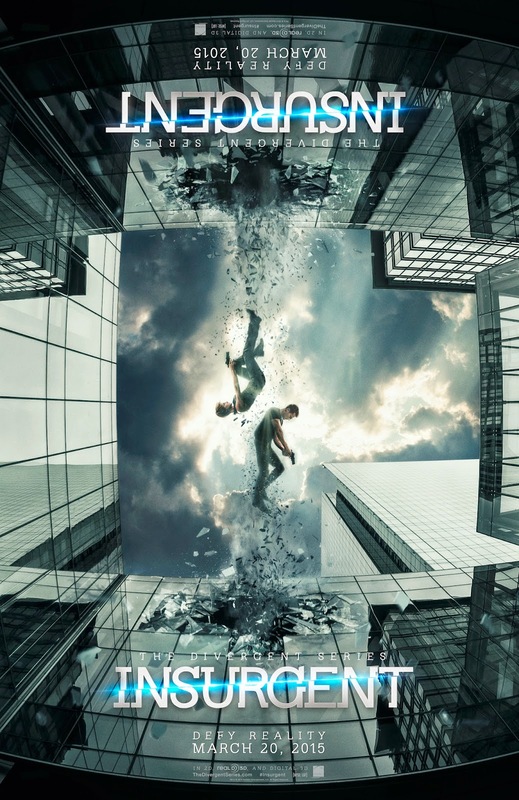 The Divergent Series: Insurgent stars Shailene Woodley, Theo James, Kate Winslet, Octavia Spencer, Naomi Watts, Miles Teller, Jai Courtney, Ray Stevenson, Maggie Q, Zoe Kravitz, Daniel Dae Kim, Suki Waterhouse and opens on March 20, 2015.